Interested in learning more about SolutionMUS? and explains the program cycle from planning, implementation and evaluation to adaptive management. At the end of the training, participants explore ways to incorporate SolutionMUS into new and existing programming. Our workshops are designed to build upon your organization’s existing expertise and knowledge and can be tailored to your specific needs. Currently under development are a 1-day and 2-day version of our general, 3-day training program, a train-the-trainers course, and web-based materials for all audiences. The short answer is, anyone interested in learning more about SolutionMUS. Implementers, funders, policymakers and researchers working in international development will find this training useful. 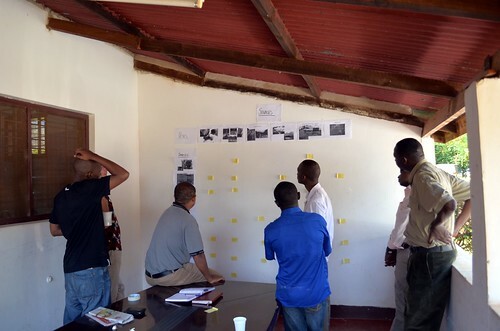 For implementers, training can assist in the successful design and implementation of SolutionMUS projects. For funders, training can provide a better understanding of how SolutionMUS can increase the impact and sustainability of water sector investments, how to structure calls for proposals, program components and likely results. For policymakers, training can provide an understanding of the scope of SolutionMUS activities, impacts and necessary policy reforms. For researchers, training can provide background on program implementation, research and evidence to date and topics for further research. Our trainers use a variety of teaching methods including group discussion, interactive activities, videos and case studies from a variety of locations including South Asia, West Africa and East Africa. 1. Why SolutionMUS? The reasons why a new approach to providing water services that provides water for domestic and productive water uses is necessary. 2. What is SolutionMUS? The basic components, process and expected results of SolutionMUS projects. 3. How their organization can move towards a SolutionMUS approach and the potential benefits and difficulties of using a SolutionMUS approach for their organizations. Our training programs are designed to build upon your organization’s existing expertise and knowledge and can be tailored to your specific needs.